Birth Control to Manage Fibroids… Why My Choice Was NO THANKS! To all the women that have been diagnosed with fibroids, do you remember the conversation about managing YOUR fibroids with your doctor? Well I do. How many of you were offered birth control to “manage fibroids”? I was. How can birth control pills (BCPs) really manage signs and symptoms of fibroids? If the theory behind fibroid growth is estrogen dominance, how can ingesting more hormones be helpful? At the time, I wasn’t quite sure why BCPs weren’t my first option, but instinctively my mind and body said NO. 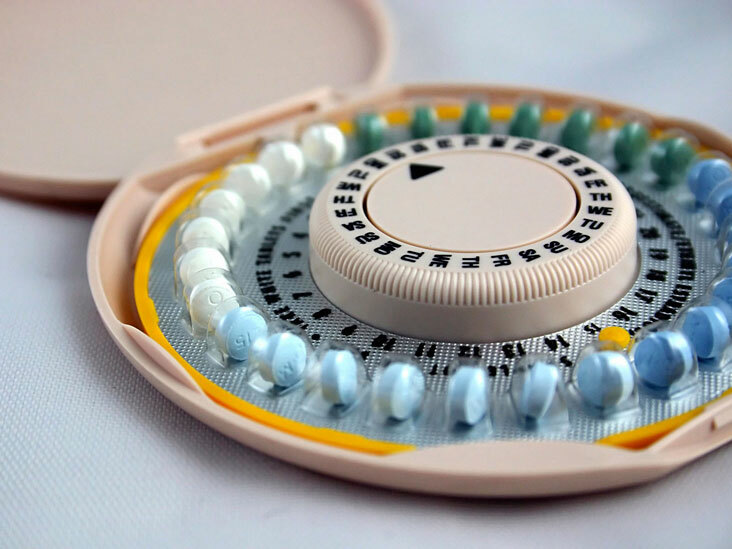 The mechanism of birth control pills are to prevent pregnancy by combining estrogen and progestin (more than the body naturally produces) by preventing ovulation, changing the lining of the uterus and changing the mucus at the cervix. In my opinion, if the lining changes, shouldn’t the flow during a cycle decrease? Women commonly take BCPs to “manage fibroids”, but how many have experienced changes in blood flow? OR better yet are they no longer anemic? The hormones of a woman between 14 and 50, not taking birth control, will increase 10 fold over a few days around ovulation. For the most part this is the largest spike we will get during our menstrual cycle. With that being said, please keep in mind that hormone levels vary, changing daily in the amount secreted, duration and time of release through various stages of menstruation. However, if you are taking BCPs, according to the doses, you could be exposed to 50 micrograms (high range), 30-35 microgram (mid range) and 20 micrograms (low range). Even the prescribed lowest dose BCPs contain higher hormone levels than what a woman actually produces (even after the 10 fold increase)… sounds like overabundance to me! Due to the fact that the hormones in BCPs are similar to the ones in the female body, the body recognizes them as estrogen and progesterone, which could possibly lead to fibroid growth. Some classes of BCPs contain the same amount of hormone dosage in each pill, with the exception of the placebo of course. But I am wondering if the constant level or environment where more hormones are present could decrease the chances of fibroid shrinkage. Although doctors still prescribe BCPs to mange fibroids, the outcomes vary. While some women experience fibroid growth others did not. And in a study of women that began taking BCPs when they were younger than 16, the BCPs contributed to fibroid growth. Just like working out or attempting a new recipe, the same recipe may not taste the same and the same workout plan may not yield the same results. The very thing that works for ME, may not work for you, so essentially it’s a guessing game when figuring out what your body needs and what it doesn’t. Now if BCPs controlled bleeding, regulated hormones and had the ability to shrink fibroids it would be the absolute GO TO DRUG for me. I am not aware of any medication that has the ability to do what I mentioned above, but my thought is that adding hormones to a situation without hormones regulated in the first place seems a little absurd. So I know you are thinking, if not BCP then what? I am glad you asked, you can use peppermint oil to manage cramps, red raspberry tea to tone and strengthen the uterus, fennel to decreased cramps, ground flaxseed to help regulate estrogen amongst many things, but work has to be done on your part. Don’t let the first option a doctor presents to you be your only option. Work with holistic physicians, acupuncturist, herbalist and/or naturopathic physicians to find the CAUSE of your fibroids, so that your fibroids can be more than MANAGED. Ultimately, taking BCPs is absolutely a personal choice, but make the best choice for you and your body. If BCPs have helped you manage signs and symptoms of fibroids, by all means continue to take them but continue to look for the root cause of your fibroids. However, if your symptoms worsen or don’t improve with BCPs, they may not be the option for you. What are you wearing down under? Part I What are you wearing you down under ? Part II FIREBALL TUMORS – What is that ? Somewhat of a Western Approach Biochemical Reaction: Is that where my FIBROIDS came from? How do you use the peppermint oil and other natural remedies that you mentioned? Monica you can use peppermint oil to massage on your abdomen in a circular pattern to manage cramps during you menstrual cycle. Red raspberry leaf tea to tone and strengthen the uterus. Fennel tea to decreased cramps. Lastly ground flaxseed that can be added to smoothies, oatmeal, and/or sprinkled on a salad in order to assist the body in getting rid of excessive estrogen.